Swirls in Mare Ingenii are associated with magnetic anomalies there. The relationship between electricity and magnetism has been known for more than a century. In a previous Picture of the Day, the complex surface features of the Reiner Gamma Formation were discussed. It remains a mystery for those who insist on slow, uniform cooling and a relatively stable lunar environment. The swirling pattern of bright material is located in Oceanus Procellarum, near Reiner crater. Recent maps of lunar magnetic anomalies reveal several other formations of high albedo material also associated with areas of crustal magnetism imprinted on the lunar surface. Descartes, the Apollo 16 landing site, possesses a prominent magnetic signature. Powdery swirls in Gerasimovich crater, on the Moon's far side, are estimated to be less than five centimeters thick. Gerasimovich is also notable for its magnetic attribute. 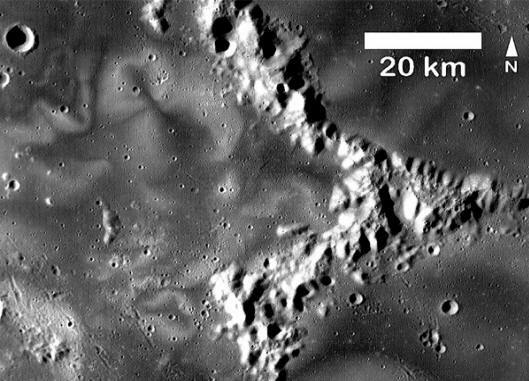 Latent magnetic fields in Mare Marginis and Mare Ingenii were measured by the Lunar Prospector spacecraft in the 1990s. Measurements of the remanent magnetism in the lunar crust were taken by observing the magnetic reflection of electrons from the Moon’s surface. The differences are small, but the evidence points to a variable strength magnetic field imprinted on the Moon. Since magnetism is a result of electrical currents, then the swirling pattern of the various formations could be due to an external electrical influence. The Lunar Reconnaissance Orbiter's Mini-RF radar imager has returned the most current images of the lunar swirls. A published paper reports: "Lunar swirls appear to overlay the lunar surface, apparently representing diffuse brightening of unmodified terrains. Lunar swirls are associated with regions of anomalously high crustal magnetic fields, but their exact formation mechanism is unknown." Since magnetism and electricity are so intimately bound together that they are known as one electromagnetic force, why is it puzzling for planetary scientists when confronted with anomalous magnetic signatures, not just on the Moon but on Mars and Mercury as well? Would it be unreasonable to conclude that an electric field impinged on those bodies, leaving behind a remanent magnetic domain? 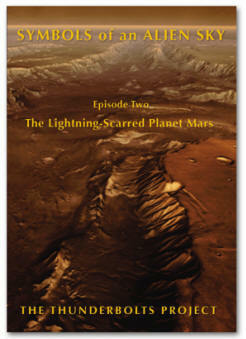 On Mars, swirling patterns are often seen incised into the rock strata, implying a more powerful electric discharge. 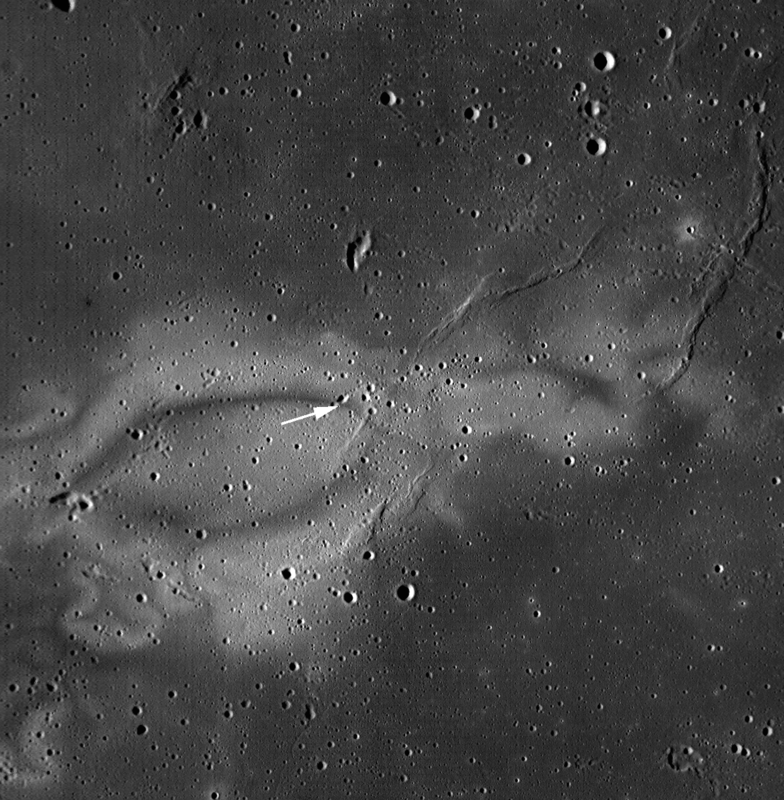 The Moon might be less conductive, or might have been spared a direct hit from interplanetary lightning storms, so the eddy currents induced by the arcs could have left shallower impressions. 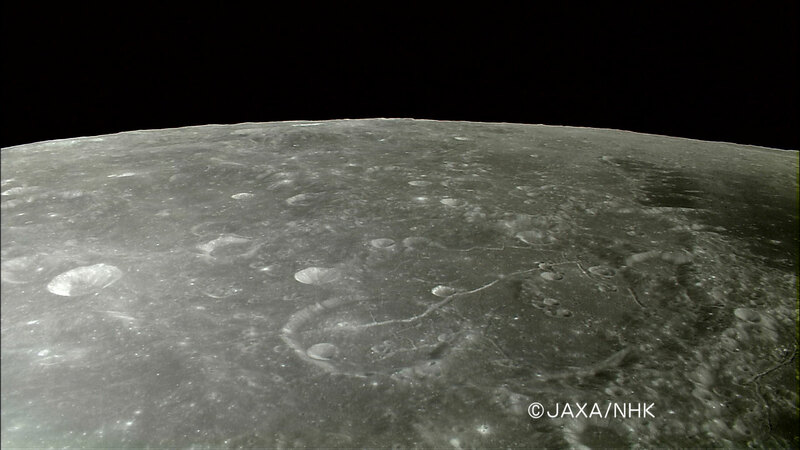 However, the appearance of gigantic craters and maria suggests extreme events that might have impacted its surface. As Electric Universe theorists postulate, a common explanation for each of the geomorphological features that we have illustrated is that planets and moons exist within an electrically active Solar System that could have been more energetic in the past. Each object is normally insulated within its individual charge sheath. However, if those sheaths touch, electric charge can be exchanged. Those electromagnetic exchanges are what might have created what we see today. Is there a possibility that those forces will be unleashed again? There is no way to know at this point. Suffice to say, the evidence reveals that they were once active in the recent past.